Well, here it is ladies and gentlemen the last game of the season, many of us believed that it would be during the playoffs, or heck even after hositing up another Lombardi Trophy, but alas it is week 17 vs the Vikings in a game that matters nothing. I have with me as always: Fuchs, Andrew, and Mark. I’m not spending much time on the Panthers game: Reaction to the game. Just an unacceptable lack of effort by the entire team. This was the biggest game of the year, and they came out like it was a backyard pickup game. Unacceptable. Was there a game last week? I completely agree with Mark. It sure loked like the Giants had no pride in their own games, and had no desire to play for Bill Sheridan. The only thing the Giants can impact no in this game is who gets the second seed in the playoffs. who do you want to see end up with the second seed in the playoffs? As a fan of football, I kind of want to see the Vikings there. As I much as I loathe Brett Favre, they have been so good all year, and outside of the last two games, they have been the third best team in football. Who goes where in the playoffs doesn’t really get my dander up since the Giants are out of it now, but I would like to see the Eagles win the title this year and go to the Superbowl. McNabb and Reid deserve a ring together, McNabb may not have too many more years left. Mark and I are on the same wave length here. I’m rooting for the Cardinals in the playoffs, so as much as that seems unlikely I hope it’s the Cardinals. Biggest Pro Bowl Snub (if any)? Steve Smith without question. I agree that Sidney Rice for example is a dynamic player on a winning team, but he has nothing on the effectiveness of Steve Smith. Smith had more receptions (way more first down receptions of course), and more touchdowns. Definitely Steve Smith as I wrote in a previous post he had comparable numbers to all the receivers who made the pro bowl but for some reason was overlooked. To me it’s Eli Manning. Steve Smith had comparable numbers to the other Wide Receivers so to me it was a coin-flip who would get in. And with the ProBowl being the week before the Superbowl and four of the 6 teams in the playoffs with a WR going to the Pro Bowl (Minnesota-Rice, Eagles-Jackson, Cowboys-Austin, Cardinals-Fitzgerald) and Steve Smith being the First alternate, chances are Smith will get in. But somehow, someway Eli Manning was ranked the 7th BEST (4th alternate) for the Pro-Bowl which is ridiculous based on the year he’s had. More important to the Vikings Defense Kevin Williams or Jared Allen? I would say Allen because when he is on that means they are getting after the quarterback and spending lots of time in the opponents backfield. I’d make the argument that they are equally important. Allen provides the pass rush–one of the best in the game. And Kevin Williams anchors the run defense. It’s a one-two punch, that most teams don’t have. Jared Allen may be my favorite non-Giant player in the NFC. The guy gets better and better as the game goes on. Allen does not seem to tire… he’s a pass rushing machine for all 60 minutes. I think the Giants should trade the whole house for that guy if they ever got the chance. To me, it’s Kevin Williams. And do you know what made up my mind for me in that respect??? the Giatns poor play at Defensive Tackle. I’ve underestimated how much teams need to have a push in the middle in the passing game to get sacks. Better for Giants if they win this game and get a good feeling ending the season or better if they lose the game and get a better draft position? At this point I think getting the best picks possible and having new leadership next year to evaluate the choices and how best the players can be utilized — that gets my vote. A meaningless win in Minnesota would taste worse to me than the meaningless loss there last year, for sure. I think Brett Farve lets his team down again though, and the Giants pull this one out. I never want to see them lose but I want a better draft pick. I would love to see the Spikes kid from Florida land in Giants blue next year. Me too (on Spikes) if the Giants lose and can get him in the second round. If the Giants lose, I’d like them to grab Best player available, and I think Spikes is close to the top 20 than the top 15 or so. We’ll have plenty of draft talk during the off-season. What are we looking forward to this weekend in this game from the Giants stand point? It is time to see what the kids can do. Who cares about the score get all these kids (Sintim, Kehl, Barden, Beckum and Beatty) as much playing time as possible. It is time to see what they have and who is going to be part of this team in 2010.
is it time to see what Ramses Barden can do…along with other young guys. I don’t see why not — but who do you bench instead, Manningham?? Adrian Peterson hasn’t had a 100 yard game since week 10..can the Giants keep this trend going? It’s surprising to read that, isn’t it? But, judging from last week’s performance, the Peterson could get 200 yards. The Giants seem to have forgotten how to tackle. Peterson could have a huge game. Can the Giants pass on the Vikings Secondary…which is 20th in the league? Yes they can, one thing I have been happy about is the Giants passing game this year plus Winfield is struggling so look for the Giants to air it out especially with Jacobs out. Sydney Rice made the Pro-Bowl…is he a Pro-Bowler? are we that worried about him this weekend? Rice has had a great year, so he’s deserving. And we should be worried about him. Ross is out. Webster is banged up. Wideouts can have a big day. If Eli throws for over 200 yards this game he’ll break a few Giants passing records…thoughts? I was hoping he would get over 4000 yards this year, he’s been much improved with the long ball which was his plan since camp. The Giants have shown they can hang with teams through the air in a passing league now, so long as they play defense that is. Will Steve Smith get the three catches to get to a 100 for the season? I think so I would look for Smith to have another solid game of 7 catches about 80 yards and a score. Can the Giants contain the Explosive Percy Harvin? I don’t think Michael Johnson can. Terrell Thomas may be able to take away the short stuff assuming he’s on him… but he deep plays to ill-conceived zone coverage should continue to be a problem for the Giants. The Vikings have struggled to stop the run since E.J. 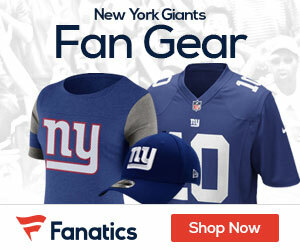 Henderson got hurt can the Giants run on the Vikings this weekend without Brandon Jacobs? And it’s really going to be Gartrell Johnson. Bradshaw will be limited. I like Johnson. He reminds me of Bradshaw. He has a chance to have a nice day. Jasper Brinkley is completely over matched out there. Johnson is quick and shifty. Johnson could have a nice day. Who would you rather have Visanthe Shanceo (whom the Giants let go) or Kevin Boss? I love Boss, Shanchoe had his chance with the Giants but Boss has the potential to be a stud, they just need to get him more involved in the game plan. is Brett Favre wearing down…does he struggle this weekend? I think he struggles — he has not looked like the dominant young buck the past few weeks and his age is perhaps beginning to show a bit. I think the Giants make him work for it this Sunday. Something to think if next year goes uncapped. Is it time to get rid of Jacobs and Hedgecock (I believe with the uncapped year there wouldn’t be a salary cap hit) run more of a one back offense with more three wide outs? Jacobs was not himself and lets face it the Giants are more of a passing team now (along with most of the NFL). I think with Bradshaw, hopefully a healthy Brown and another young back it could make for some interesting offensive packages next year. Well that wraps up this edition of New York Giants Roundtable. We’ll have a few more between now and next season I hope this is a segment you guys enjoy. Let’s hope the Giants show us something on Sunday whether it be some franchise records, a win, or just some emotion…or best yet Bill Sheridan and a few others the door. Vikings 28 – Giants 3!! If they win this game I am going to be so pissed!! Pound the Skins, get mauled by the Panthers and then beat the Vikings? I would be so ticked off…. do you think sheridan can coach this one from the booth upstairs?